You can use our Twitter application "MutiPost" for sharing your wishes to multiple Twitter Accounts easily. And see lot of New year SMS messages here. Using our MultiPost Bookmarklet you can easily select your favorite message and send it to the desired Twitter accounts by few clicks. 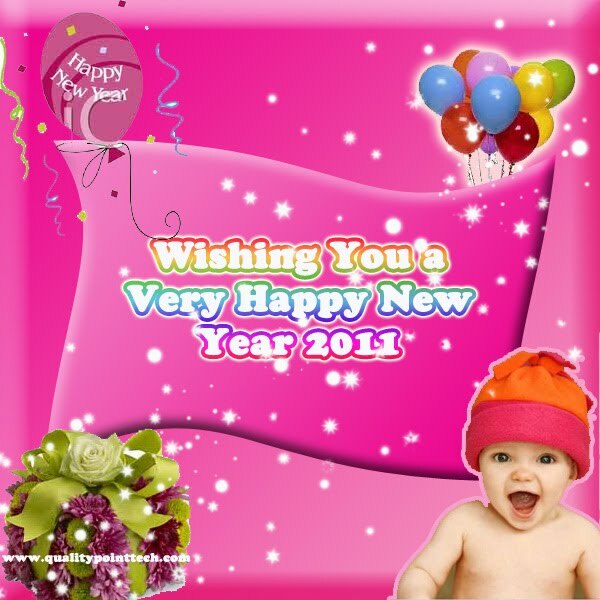 Remember to send this list of Guidelines of Happy life while wishing your friends for this New year. We have released "Auto Tweet" feature in our Twitter Application. This "Auto Tweet" will be very useful for managing your social media marketing. You can add all your tweets in this application. You can easily change the association between your stored tweets and Twitter Accounts at any time. And, you can activate and deactivate the Twitter accounts as well as individual Tweets. URL Shortening is built-in with the Tool. This Tool can be used for doing any affiliate marketing also. I would like to recommend our Affiliates to use this Tool. If you are new to our affiliate program, you start earning money by joining here. This new feature is integrated with our existing Twitter Application "MultiPost". Refer the AutoTweet help file for more details. And, we won't allow anyone to use our Twitter application to send Spam contents. Our Application will not allow you to set the auto tweet less than 30 minutes gap. Refer guidelines of Twitter to keep your Twitter account not getting filtered from Twitter search. If you want to have your own Script, contact me to buy this script. Freelancer.com is going to acquire LimeExchange. You can see more details here. Freelancer.com is the leading online Marklet place for outsourcing Software and Web development tasks. It is growing very rapidly. Few months back it had changed its name from GAF(GetAFreelancer) into Freelancer.com. And, recently it had acquired "FreeMarket". Interestingly Freelancer.com overtakes many old freelance sites. For example, vWorker which is another freelance site is struggling lot due to its poor arbitration processes. So, it looks like Freelancer.com is comparatively better than other freelance sites. If you have any other opinion, you can share your experience/thoughts thro' the comments. I am just thinking about why lot of people are joining the freelance sites. At first thought, the primary reason may be the inefficiency of search engines. Today's search engines including Google are NOT effective. It is TRUE even when Google is working hard and smart to enhance its search engine day by day. For example, I am seeing many people asking the service providers for developing Quiz program. The same Quiz program can be purchased from our site just by paying $15. But, still they are spending more money to get their Quiz program. So, I am thinking about Future Search engines which can act smart to handle these things. I will be writing a detailed blog post about the future Search engines. And, once after completing our Twitter Tools developments, we may concentrate on analysing/developing future Search Engine. A recent testing done by pingdom has revealed that Google Blogger is more reliable among all blog services. Actually Blogger had showed 100% uptime during this testing period. You can read more details about this study here. As discussed in my previous post "Some thoughts on Blogger blog...", I am keeping this blogger blog as my primary blog. So, I believe our blog readers will be happy about this 100% up time of Blogger. Twitter has released list of Top Trends in 2010. Find below the Top 10 Trends. We have added "Recent Tweets" feature in our Multipost Tool. Latest tweets sent from this Mulitpost Tool will be shown to everyone using this Tool. Let me know if anyone has any suggestion to improve it further. In my previous post, I had explained about this Tool and mentioned about the Bookmarklet also. Let me know if you need more details about using our Bookmarklet to tweet any content found on any web page into your multiple twitter accounts selectively. And, let me know if you find any difficulty in using this Tool. Keep watch this blog to get the announcement about release of AutoTweet in few days. 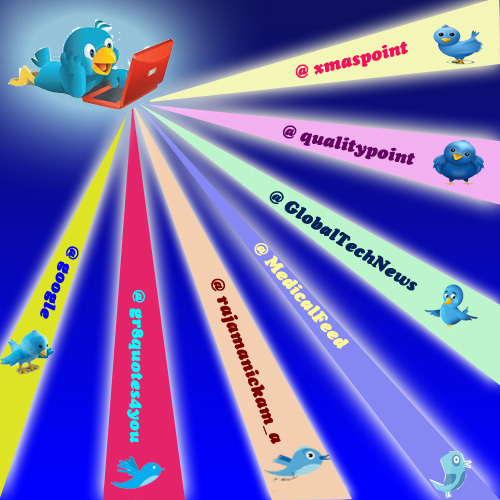 In my previous post I have introduced our "Twitter multipost" application. As mentioned in that post, we have created bookmarklet for using this tool very easily. Just drag the bookmarklet to your browser address bar and you can easily tweet any content from any page (including url) easily to your multiple twitter accounts. If you select the content, it will take the content and the URL, otherwise it will take the Title and URL. I think it will be very user-friendly. Let me know if you find any difficulty in using this tool. In my previous post, I had announced about our "Twitter Stats" tool. We have released another simple Twitter related Tool "MultiPost". Using this Tool you can easily send the tweets to multiple desired twitter accounts. Url shortening is integrated with this Tool. And you need not enter your Twitter username and password in our site. It uses Twitter OAuth authentication approach. So, you can safely use this tool. We are planning to improve this tool further by adding more social networking sites such as Facebook and LinkedIn in addition to the Twitter. And, we are working on to provide bookmarklet for using this tool. You can use it free in our site. It will be useful for doing your online marketing easily and it will save time. If you want to have your own implementation in your site, you can contact me for buying the code. And, we have developed an another Twitter tool for managing auto tweets effectively. Currently we are using it to promote our own sites and blogs. It shows good improvement in the traffic. I will be posting more details about this Autotweet management tool within few days. I will be keeping this Autotweet manager as free or paid service based on our server load. Anyway, it will be free for first few persons. So, you can subscribe to our blog posts to know the release of our Autotweet management tool. Anyway, anyone can buy it for using it in their own server. We have released the Bookmarklet for using this tool easily. ArtsPoint.net - A Social Networking Site for the Music Industry. As part of my previous announcement about our TurnKey Site development initiative, we have completed the development of the ArtsPoint.Net, a Social Networking Site for Artists and Promoters of Live Music Events. If you are interested to buy this turnkey site, you can refer the sales page for more details. We have developed entire site SEO friendly. And, we can make any custom changes and new modules (e.g Event Ticket management) for reasonable additional price. And, we can set up any additional features/tools (e.g eMail marketing tool, Twitter Marketing tool and autopilot scripts) cost effectively. We are working on to develop lot of TurnKey Sites in various fields such as SEO, Twitter applications and project management. If you are interested to know more about our products you can bookmark this blog for further reading, or you can subscribe to our blog feed. Twitter is becoming a powerful marketing Tool now. Our Twitter accounts are helping to increase traffic to our blogs and websites. 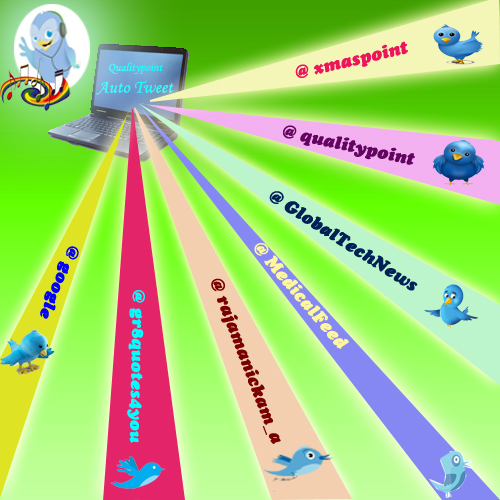 So, we are planning to develop lot of useful Twitter applications based on our needs. And, we have already developed few twitter applications. This simple application will give the details about Followers count and Following count for a list of Twitter Accounts. You can feed the Twitter Accounts list using a .csv file or you can enter it on the screen. And, you can store the result as .csv file. You can use this application freely here. You can contact me if you want to buy the script so that you can provide this service from your site itself. It will be very useful if you outsource your social marketing. This tool can be used to measure the performance of the social media marketing team. We are planning to improve it further by integrating this application with our Forum so that our Forum users can keep the Twitter accounts lists within our site itself. (i-e No need to upload the .csv file everytime) And, they can view the trends also. As part of our TurnKey site development plan, we have completed one TurnKey site (ArtsPoint.net) and it will be available for sales soon. Mostly I will be giving more details tomorrow. And, I will be starting the Auction process soon. I am planning to sell this domain/site to person/company who is willing to make this site as an important site for the artists especially for the people in Music Industry. If you are interested to buy this site you can contact me, or you can participate in the Auction. According to speedtest.net, South Korea is having the high speed Internet connection. It is providing 35.40 Mb/s Download speed and 19.63 Mb/s Upload speed. This speed is calculated based on the speed test taken from around 0.3 Million unique IPs in South Korea. UK and US are ranking after 30 only. And, their download speed is less than 10 Mb/s. India is in 138th position and the average Download speed is 1.36 Mb/s. It is calculated based on the speed test done on the 3.3 Million Unique IPs. i-e India's speed is nearly 25 times less than the South Korea. China stands in 84th position with 3.3 Mb/s download speed. I am not sure whether this speed test really represents the exact Internet speed in each country. If you know any other reliable data about speed tests across the countries, you can share it thro' the comments. And, I couldn't understand why US,China,Jappan and UK are lagging behind the South Korea in Internet connection speed while they are advancing in other technologies. Find below the detailed ranking list according to both Download speed and Upload speed. Google has launched an eBook Store with more than 3 millions eBooks for sale. Free eBooks are also available. You can access the Google eBook Store here. And, read more details here. Currently it is available in US only. For me (I am in India) it is showing below message. It looks like you're located outside of the United States. Although you're welcome to read about Google eBooks, please note that Google eBooks are only available for sale to customers in the U.S. at this time. Launching Google eBooks is an initial step toward giving you greater access to the vast variety of information and entertainment found in books. Our journey has just begun. Google eBooks can be read using various devices including Web browsers, Smartphones (Android,iPhone, iPod Touch and ipad) and eReader devices. Currently, Google eBooks are not compatible with Amazon Kindle devices. Google says they are open to supporting Kindles in the future. 3)Which is not a package of the Java class hierarchy available in Navigator? 4)You unsuccessfully use navigator.preferences() to alter browser preferences. How come? a) You're using export instead of import. b) You're using import instead of export. c) That's the wrong method. d) You're not using a signed script. 6)How do you delete a cookie? a) You can't. They're valid until they expire. b) Overwrite it with an expiry date in the past. c) escape() the value of the path attribute. d) unescape() the value of the path attribute. 9)How would you add a property to an object class? a) With the prototype() method. b) With the prototype property. c) Sorry. Can't be done. d) With the this object. 10)What's the default setting for the expires attribute of the document.cookie property? a) The duration of the browser session. b) The duration the current document stays loaded. c) Twenty-four hours from the time the cookie is set. d) There is no default setting. a) a low-level programming language. b) a scripting language precompiled in the browser. c) a compiled scripting language. d) an object-oriented scripting language. 12)After clicking on a link, your main browser window spawns a small new window and writes some text to it. However, when viewing both window page sources, the small window page source is identical to that of the large. How can this be? a) The function writing to the new window didn't close the document stream. b) Gimme a break. It'd never happen. c) Windows receive the source code of the window that wrote to them. d) Since the new window has no filename, it receives the source code of its parent. 14)How would you randomly choose an element from an array named myStuff if the number of elements changes dynamically? 15)What's the default string passed to document.open()? d) The first two both work fine. 19)You've embedded the document.write() method to write some text within a pair of <td></td> table tags. Upon loading the file, however, you get some garbled junk on the page where that text should be. What browser are you most likely using? a) toCharCode() is a bogus method. b) Nothing. I use it all the time. c) toCharCode accepts only numbers. d) toCharCode takes no arguments. 23)Which is not a built-in function? a) The statement(s) it executes run(s) only once. b) It pauses the script in which it is called. c) clearTimeOut() won't stop its execution. d) The delay is measured in hundredths of a second. 26)What happens to cookies.txt data if the file exceeds the maximum size? a) Your script automatically generates a run-time error. b) Your script automatically generates a load-time error. c) All processes using document.cookie are ignored. d) The file is truncated to the maximum length. 27)Consider an HTML form with a checkbox and a text field. When data is entered and the return key is pressed, the data seems to be lost before the user can click on the button that calls the processing function. How do you correct this? d) Instruct the user not to press the Return key. 31)Which cookies.txt filesize is too large? d) There is no theoretical limit. 32)Which property returns the number of arguments expected by a function? d) All of these are bogus. a) Impossible. This is a sick joke. b) The userAgent property reflects the correct OS. c) The property can be modified. d) navigator.platform shows the OS for which the browser was compiled. More Articles... You can bookmark this blog for further reading, or you can subscribe to our blog feed.